If you fancy some easy to grow carnations for your cutting patch then these cheeky fellows are what you want. They have super strong stems and a great solid colours. ‘Formula Superb’ have deeply lacerated petals…or shaggy to you and I…and yes you can call them ‘Shaggy’ in a Scooby Doo voice. A generous vase of these on the kitchen table will fill the room with a wonderful scent….and look retro chic to boot. 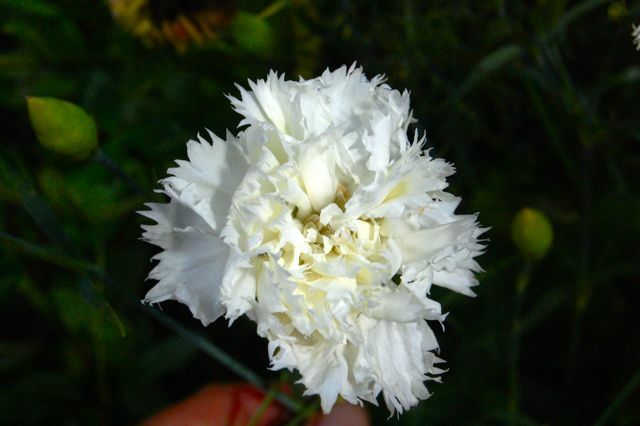 You can sow Carnations very early…from February…but I tend to sow mine from the equinox on 23rd March or thereabouts (it changes, pesky thing), they will flower in July-September. Seeds sown in May might not flower until the following year. Many folk treat these as hardy annuals but they are short lived perennial in my book. ‘Kevin Mappledoram’ is perhaps the most camp flower in the flowery arena.